Find out more about our six finalists for the 2017 Emerging Dancer Award. Now in its eighth year, our annual Emerging Dancer competition sees six of the company’s most promising dancers, selected by their peers, perform in front of an eminent panel of expert judges before one receives the 2017 Emerging Dancer Award. Having trained at English National Ballet School, Isabelle joined English National Ballet in 2014. This season, Isabelle has performed as Myrtha in Akram Khan’s Giselle, Mirliton and Lead Flowers in Nutcracker, and as Myrtha in Mary Skeaping’s Giselle. A previous Emerging Dancer finalist in 2014 and 2015, Isabelle won Silver Medal at the 2013 Genée International Ballet Competition, and came second place in Young British Dancer of the Year 2013. Rina trained at the Princess Grace Academy, Monaco and joined English National Ballet after being named Prize Winner at the Prix de Lausanne 2015. In the 2016/2017 season Rina made her debut as Clara in Nutcracker, and performed as Moyna and in the Peasant pas-de-deux in Mary Skeaping’s Giselle. Rina was a finalist in Emerging Dancer 2016 and has won Silver Medal at Varna 2016, Gold Medal at the Youth American Grand Prix 2012, Gold Medal at Nagoya Ballet Competition 2012, Gold Medal at Nara Ballet Competition 2011. Madison joined English National Ballet in 2013, and was previously with The Hamburg Ballet and San Francisco Ballet. This season she worked closely with Akram Khan on the creation of Giselle and performed in the title role, as well as performing as Lead Snowflakes and Flowers in Nutcracker, and as Bathilde in Mary Skeaping’s Giselle. Madison was a previous Emerging Dancer finalist in 2014. 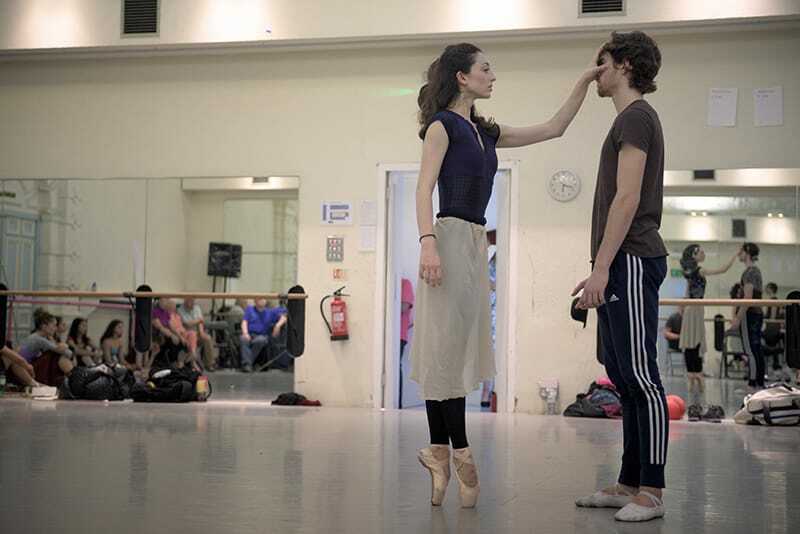 Aitor joined English National Ballet at the start of the 2016/2017 season. In his short time with the company he has performed as Albrecht in Akram Khan’s Giselle, as the Nutcracker, and in the Peasant pas-de-deux in Mary Skeaping’s Giselle. He received The Professional Dancers’ Association of Gipuzkoa Discover Award in 2015, the 2015 Dancer Revelation of Gipuzkoa Prize, Gold Medal at the International Dance Contest of Biarritz, 2013 and 1st place Championship of Euskadi Aurresku, 2011. 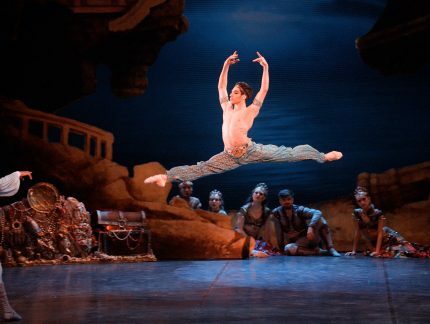 Guilherme joined the company from English National Ballet School in 2011. 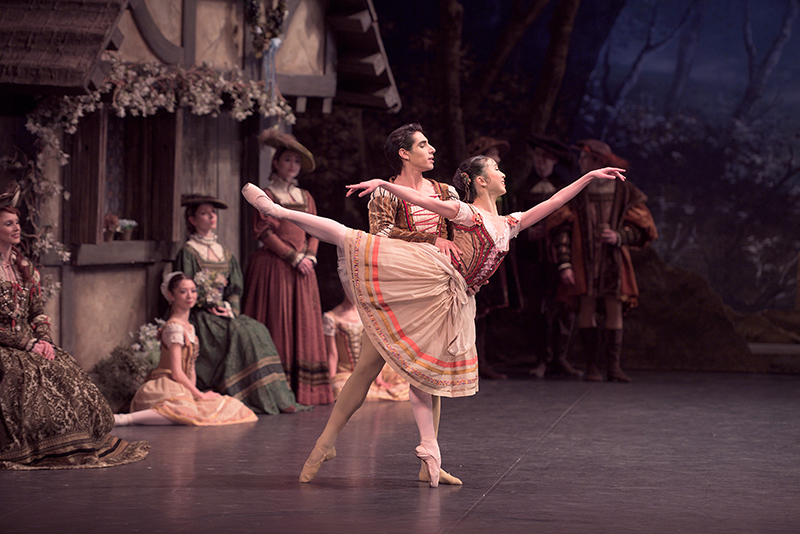 This season he has performed as the Nutcracker and Lead Flowers in Nutcracker, and in Akram Khan’s Giselle. He was a finalist at Prix de Lausanne 2010 and was a finalist for the 2013 Emerging Dancer competition. 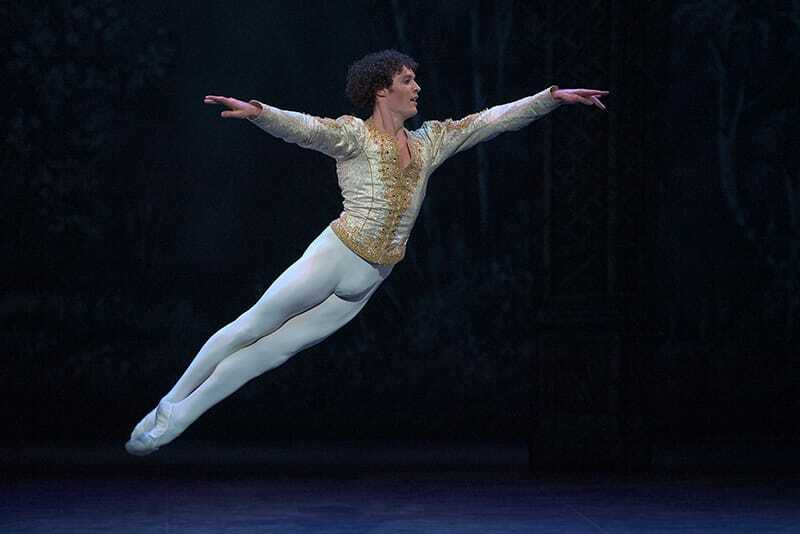 Previously a member of Queensland Ballet, Emilio joined the company in 2015. He has performed in Akram Khan’s Giselle and made his debut as Nephew in Nutcracker this season. These six finalists will perform in front of a live audience with selected repertoire, yet to be announced. That evening we will also reveal the recipients of the People’s Choice Award, selected by members of the public, and the Corps de Ballet Award, acknowledging the work on and off-stage of an Artist of the Company. Voting is still open (until 2 April 2017) for the People’s Choice Award – cast your vote here. Emerging Dancer is a key part of English National Ballet’s commitment to developing and nurturing talent within the Company. Last year’s winner of both the Emerging Dancer Award and the People’s Choice Award, Cesar Corrales, has since been promoted to First Soloist. He has performed principal roles in Akram Khan’s Giselle, Swan Lake in-the-round, Nutcracker, and Mary Skeaping’s Giselle, and his performance as Ali in Le Corsaire has been nominated for Outstanding Male Performance at the 2017 Critics Circle National Dance Awards. Previous winners of the Emerging Dancer award also include Shiori Kase (2011) and Yonah Acosta (2012), who have since both been promoted to Principal, Junor Souza (2014), who has since been promoted to First Soloist, Alison McWhinney (2014), who has since been promoted to Soloist, and Jinhao Zhang (2015), who has since been promoted to First Artist. 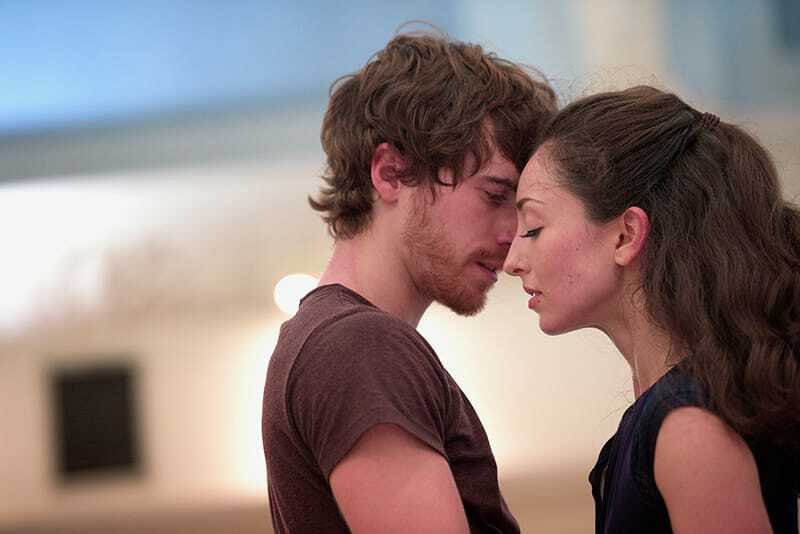 Don’t miss Emerging Dancer when it takes place at Sadler’s Wells on Thursday 25 May. Book your tickets here. Today, following our first performance of Le Corsaire in Tokyo, it was announced that Cesar Corrales is being promoted to Principal dancer at the start of the 2017-18 season.